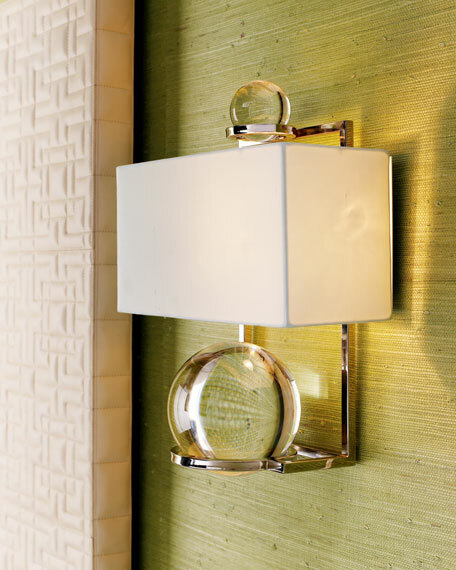 Sconce made of polished stainless steel with two removable crystal balls. Hardback shade houses two 40-watt bulbs. 11"W x 6"D x 15.5"T.